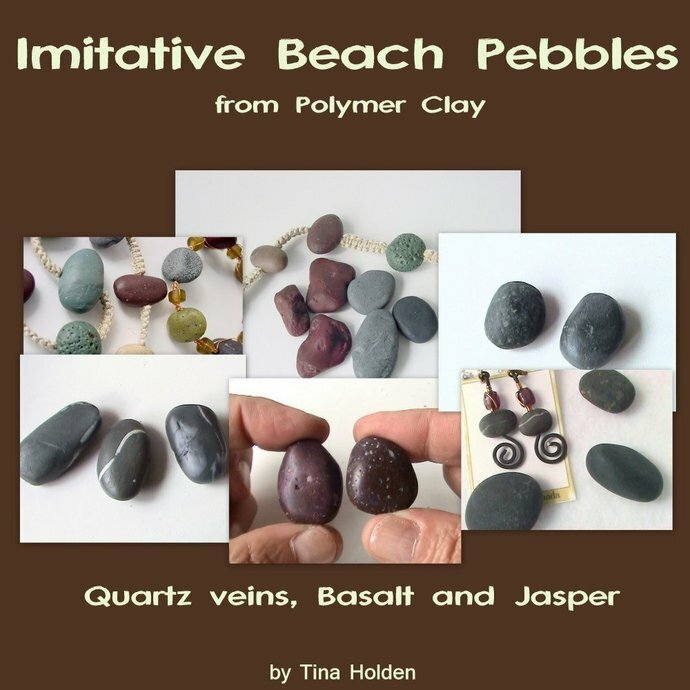 Tutorial Part 1 of a series of 3 stand alone tutorials to create more than a dozen of Imitative Beach pebbles from Polymer Clay. 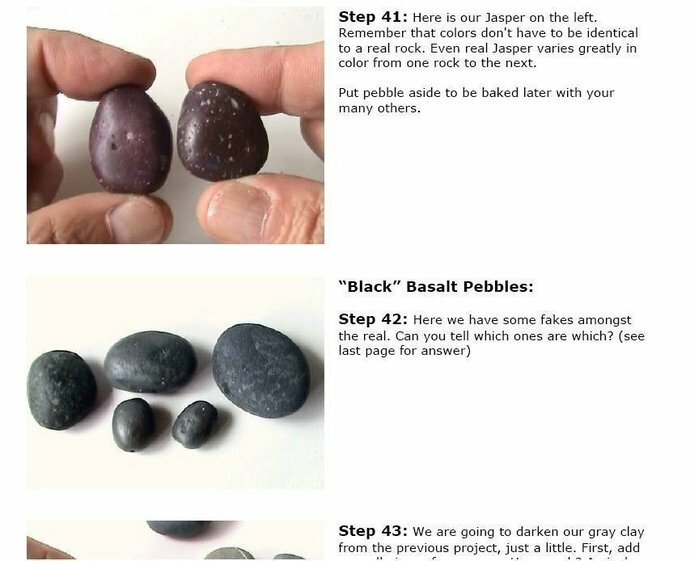 Each series will show you in a step by step fashion how to create each rock. 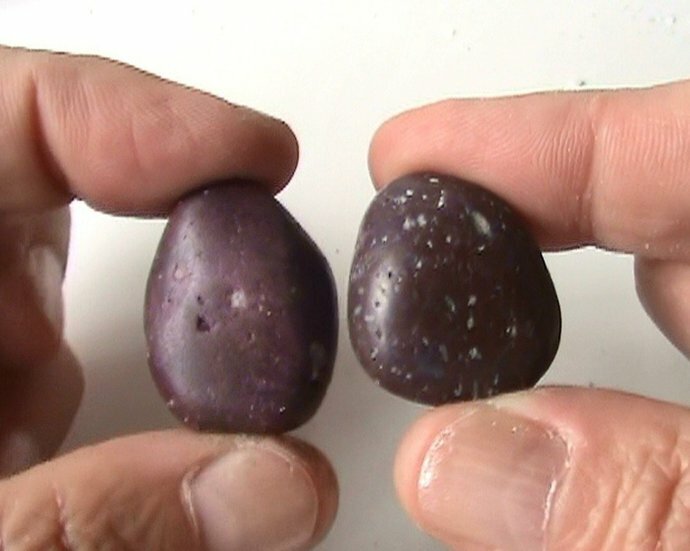 With only a few colors and tools you'll be able to create a range of beach pebbles to fool the naked eye. The only deception is their light weight. 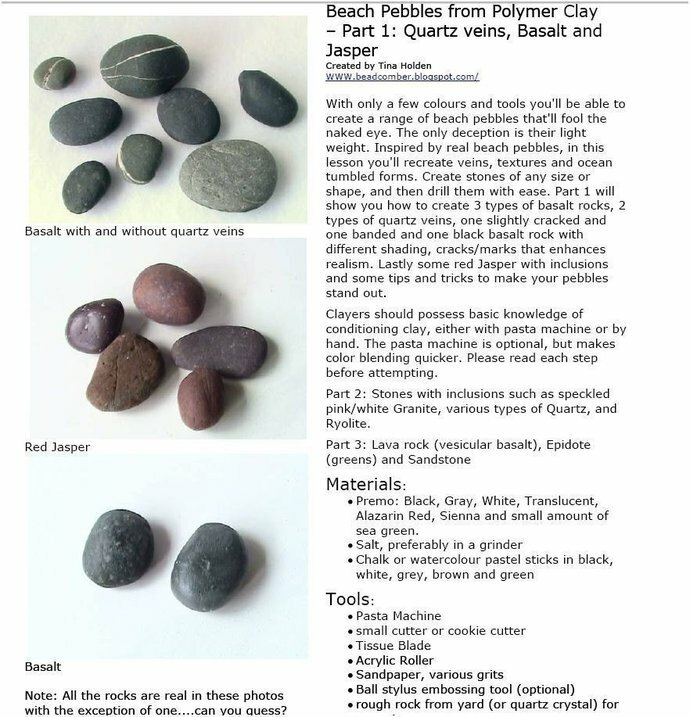 Inspired by real beach pebbles, in this lesson you'll recreate veins, textures and ocean tumbled forms. Create stones of any size or shape, and then drill them with ease. Part 1 will show you how to create 4 types of basalt rocks, 2 with 2 techniques of achieving quartz veins (one slightly cracked, one banded). 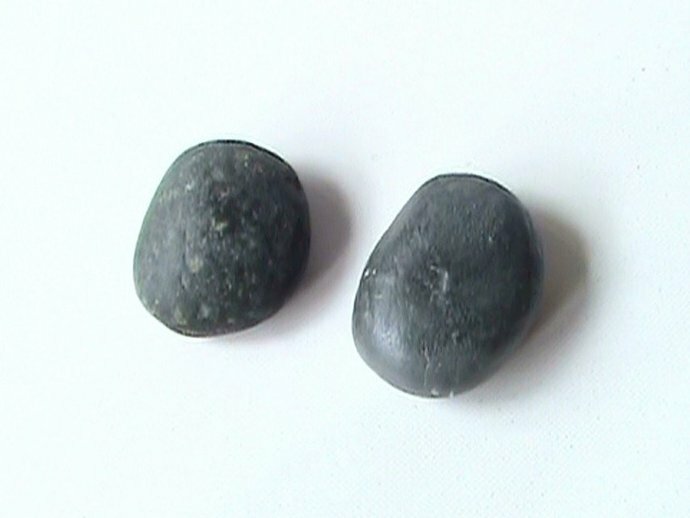 One black basalt rock with different shading, cracks/marks that enhances realism and one with a quartz inclusion. Lastly some red Jasper with inclusions and some tips and tricks to make your pebbles stand out. A pasta machine is not required for this project. This tutorial is packed with 66 photographs, 22 pages, and 58 steps of instructions.